Only 3 1.8T 4-Door SEL Auto models left in stock! 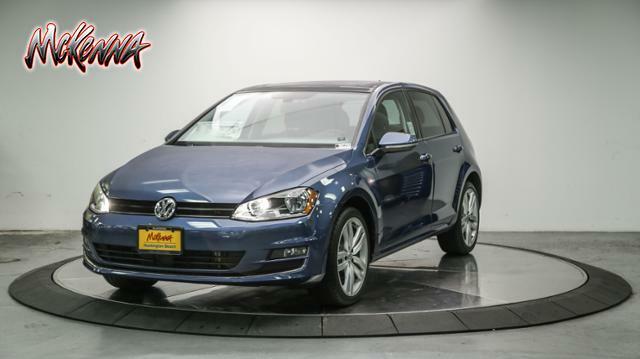 Navigation, Heated Seats, Sunroof, Onboard Communications System, iPod/MP3 Input, Turbo Charged, ROADSIDE ASSISTANCE KIT, Alloy Wheels, Satellite Radio. SILK BLUE METALLIC exterior and QUARTZ GRAY LEATHERETTE interior, SEL trim. SEE MORE! 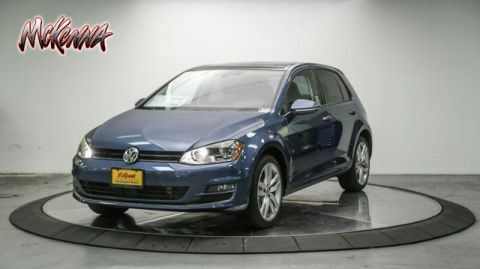 Heated Driver Seat, Back-Up Camera, Premium Sound System, Satellite Radio, Aluminum Wheels, Keyless Start, Dual Zone A/C Volkswagen SEL with SILK BLUE METALLIC exterior and QUARTZ GRAY LEATHERETTE interior features a 4 Cylinder Engine with 170 HP at 4500 RPM*. ROADSIDE ASSISTANCE KIT booster cables, warning triangle, LED flashlight, multi-tool, work gloves, PVC tape, blanket, poncho, whistle, cable ties and bandages. MP3 Player, Keyless Entry, Steering Wheel Controls, Child Safety Locks, Heated Mirrors. Edmunds.com's review says Front seats provide ample support and comfort, even during long-distance driving stints, and not at the sacrifice of rear passengers. 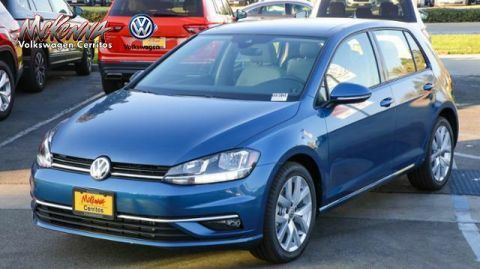 The Golf's ample legroom and shoulder room make the small hatch feel big..